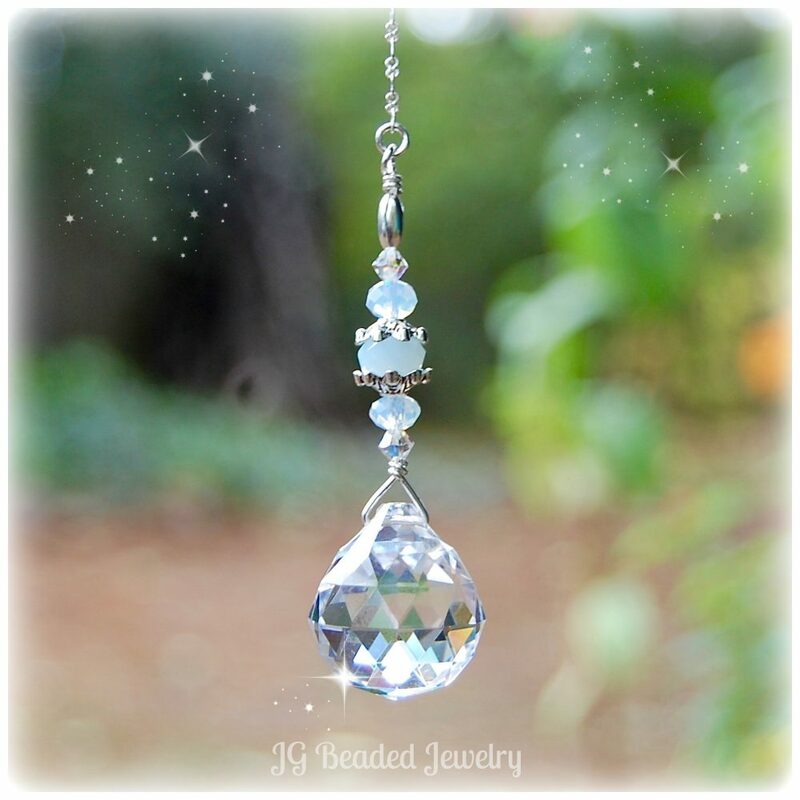 This blue opal crystal prism is uniquely designed and made for strength and longevity. 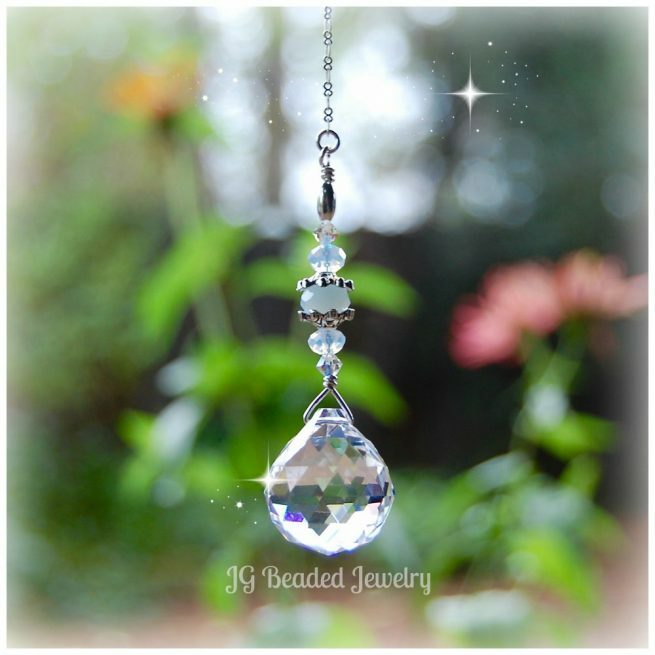 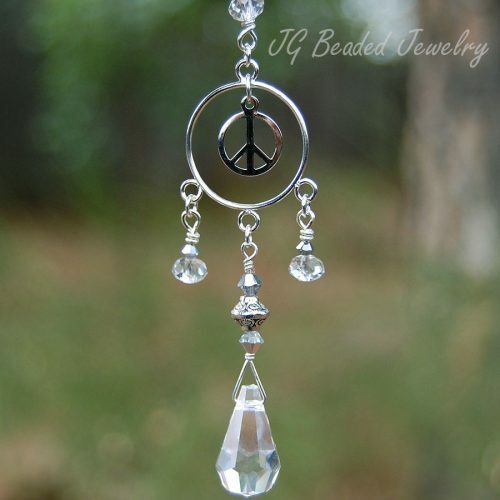 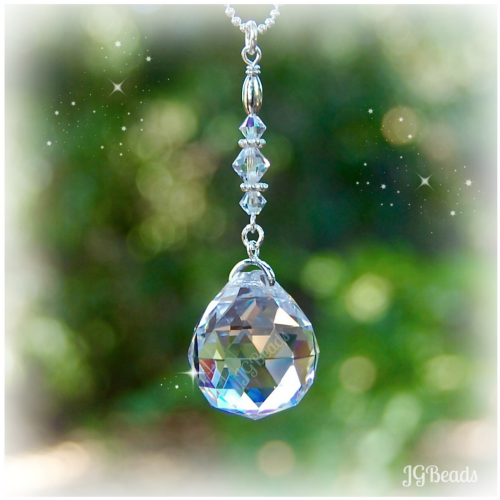 The 20mm faceted crystal ball is wire wrapped with care and attention to detail. 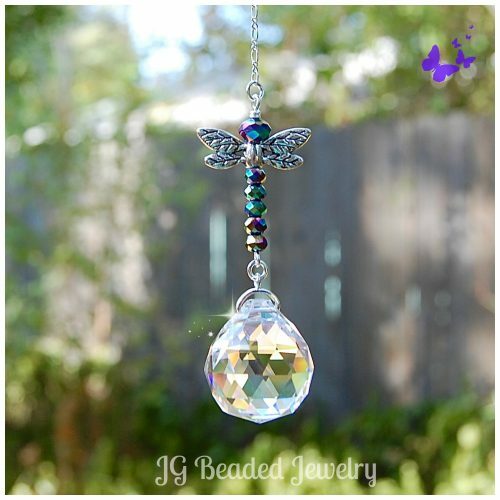 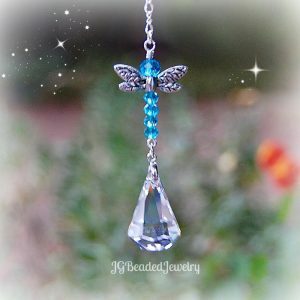 The prism is embellished with flawless iridescent Swarovski crystals, faceted opal and light blue crystals and fancy silver metal beads.